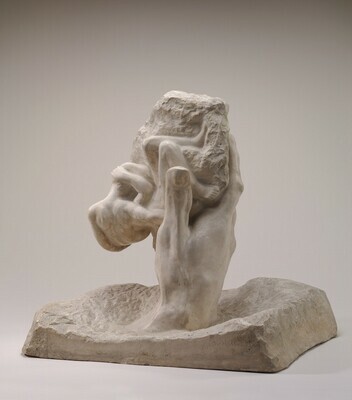 Musée Rodin, Paris; gift 1973 to B. Gerald Cantor [1916-1996], Los Angeles; Iris & B. Gerald Cantor Foundation, Los Angeles; gift 2011 to NGA. 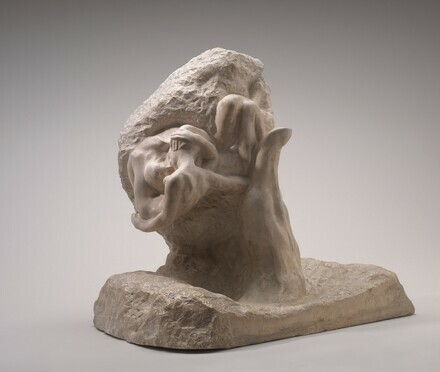 Mr. Cantor was offered the plaster as a gift in a letter of 21 June 1973 from Cécile Goldscheider, chief curator of the Musée Rodin (copy in NGA curatorial files, kindly provided in March 2013 by François Blanchetière, curator, Musée Rodin). Possibly Venice Biennale, Fifth Exhibition, 1903, no. 23 in Room L.
Auguste Rodin, 1840-1917, Kunsthalle Basel, 1948. Possibly Mostri di Auguste Rodin (1840-1917), Academia di Francia, Villa Medici, Rome, 1967, no. 21 (the dimensions in the catalogue do not match NGA 2011.100.1, although Gerald Cantor was told his plaster was shown in the exhibition). 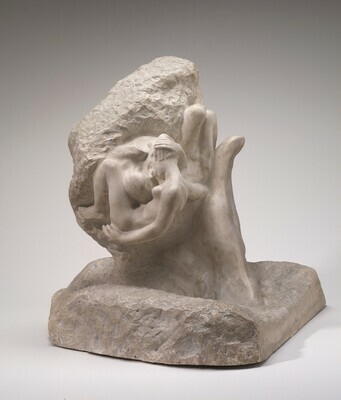 Rodin: The B. Gerald Cantor Collection, The Metropolitan Museum of Art, New York, 1986, no. 65, repro. Miller, Joan Vita, and Gary Marotta. 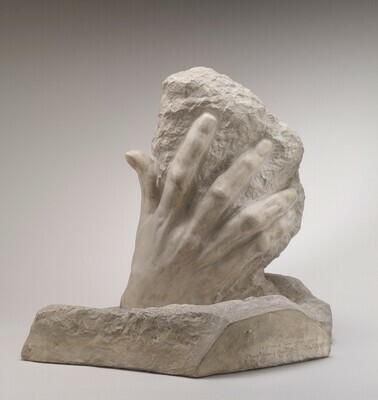 Rodin: The B. Gerald Cantor Collection. New York, 1986: 147.